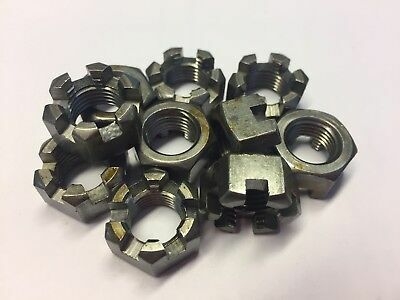 5/8", UNF, Slotted Nuts, Self Colour. 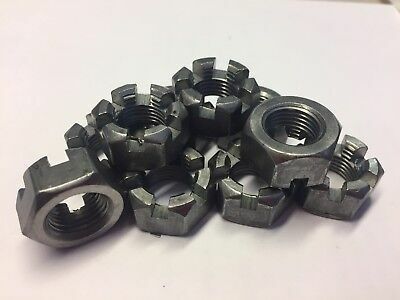 9/16", BSF, Castle Nuts, Self Colour. 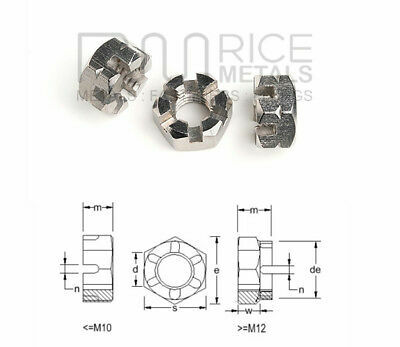 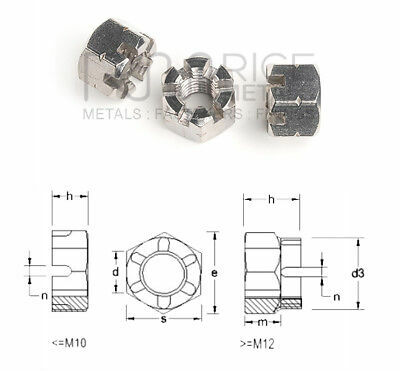 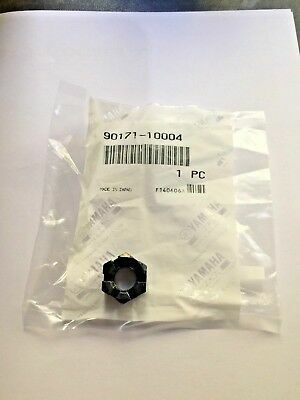 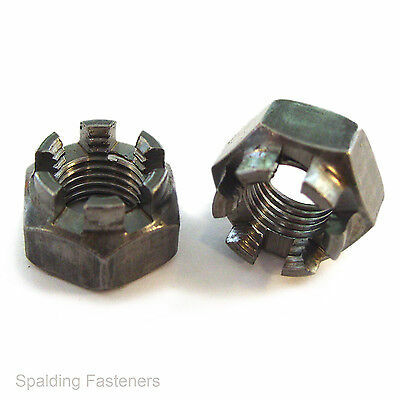 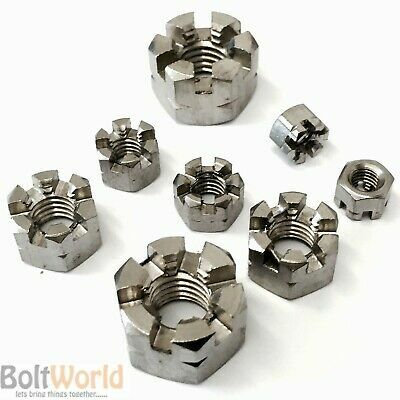 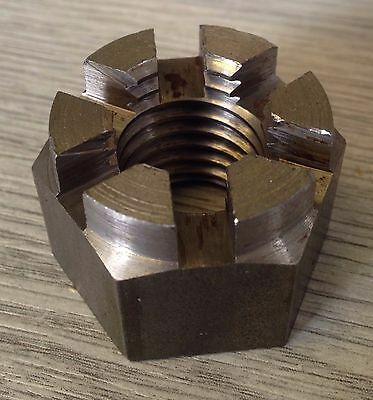 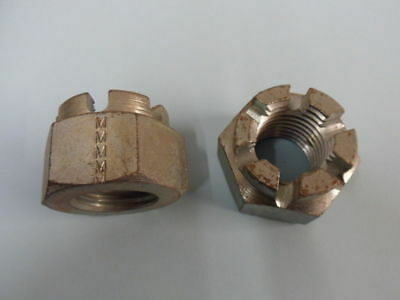 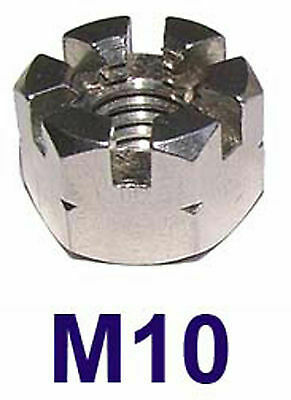 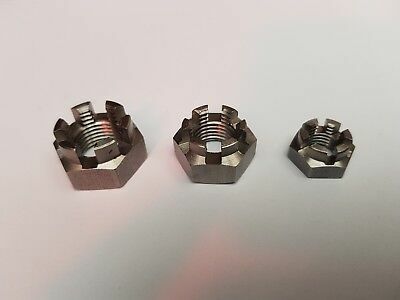 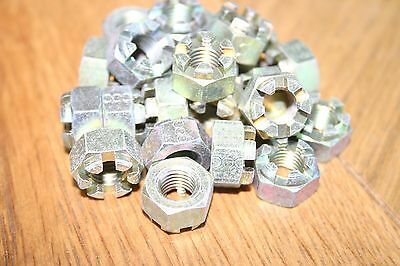 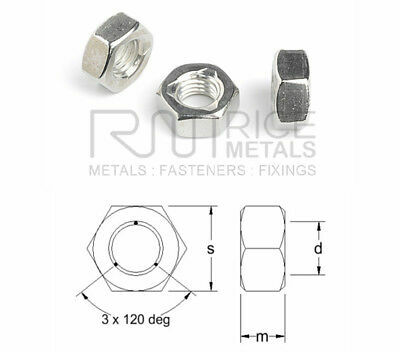 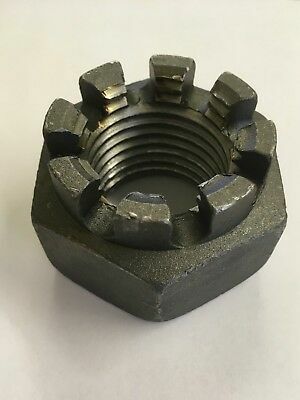 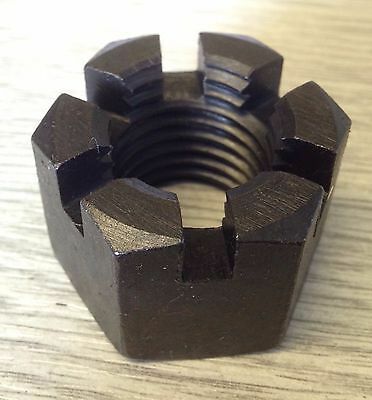 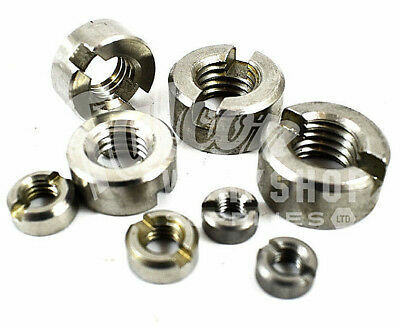 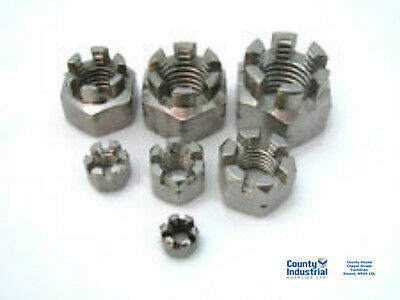 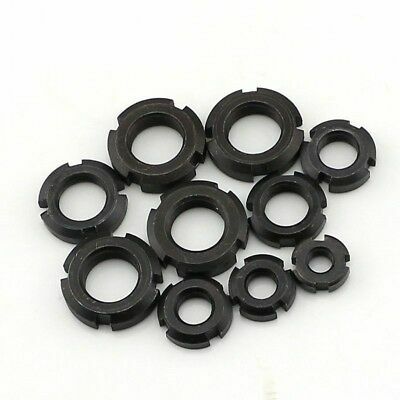 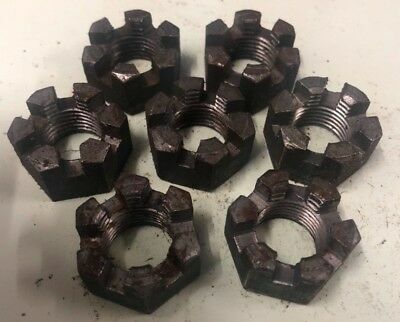 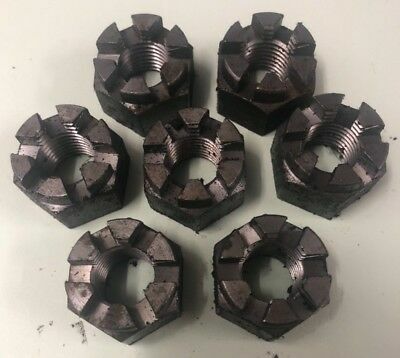 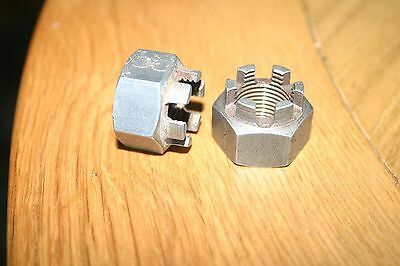 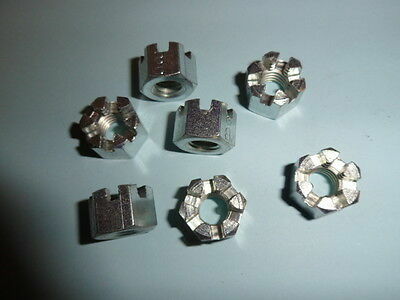 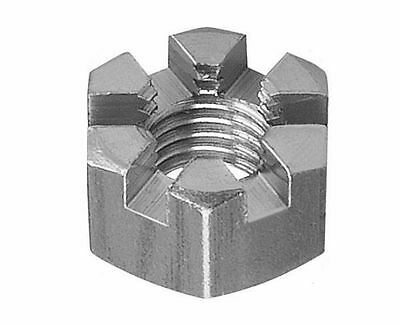 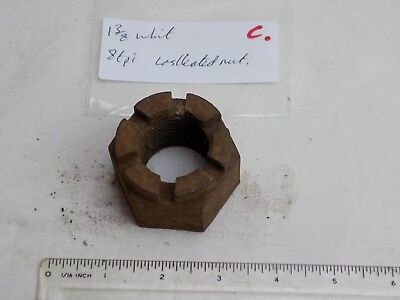 50 - M16 Castle Nuts, Zinc Plated - METRIC. 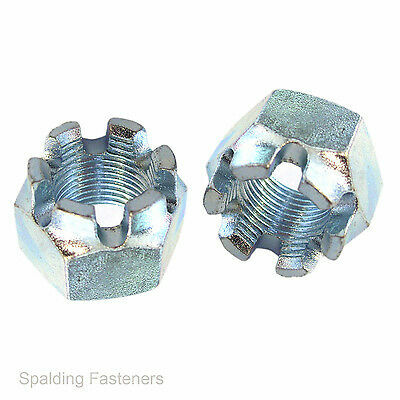 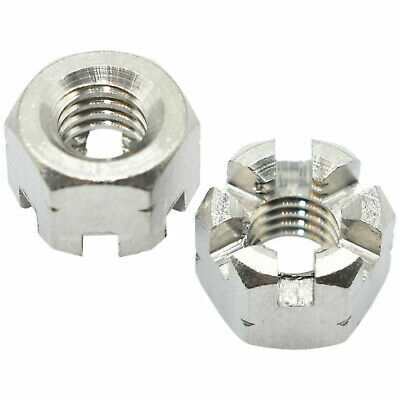 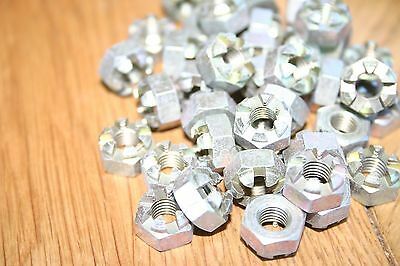 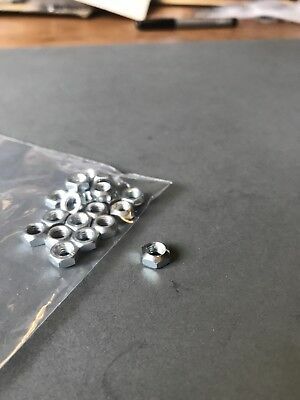 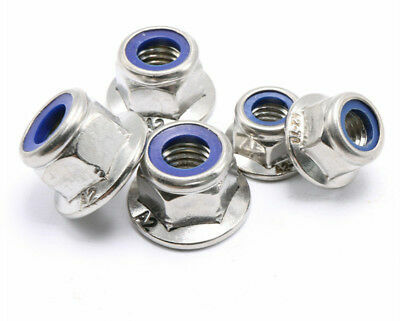 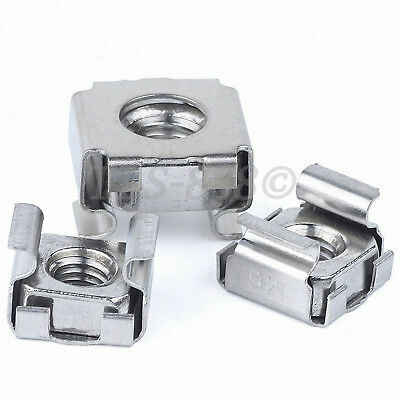 M30 CASTLE NUTS, BRIGHT ZINC PLATED, X 2 No. 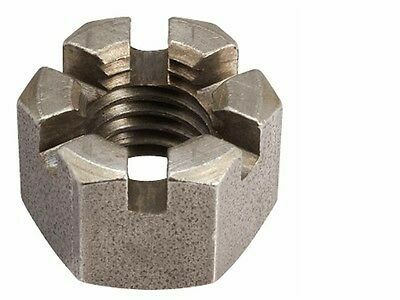 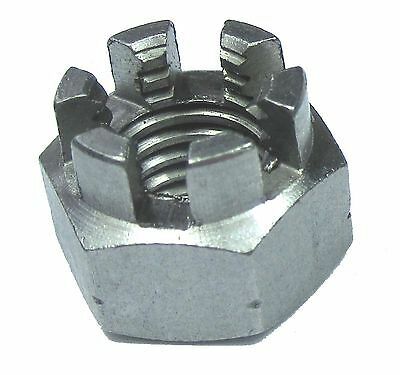 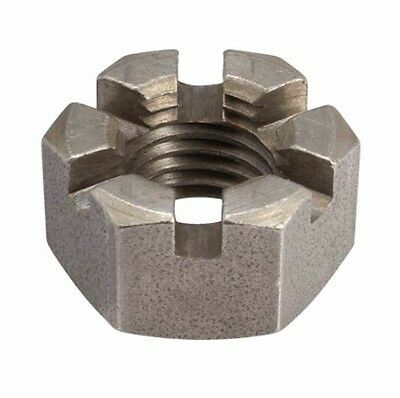 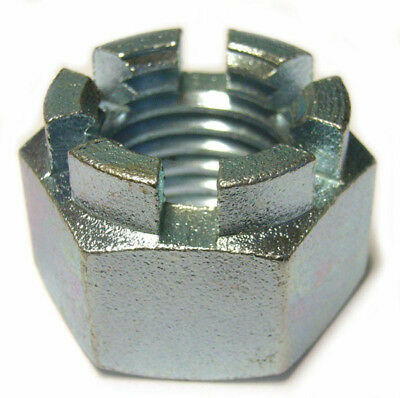 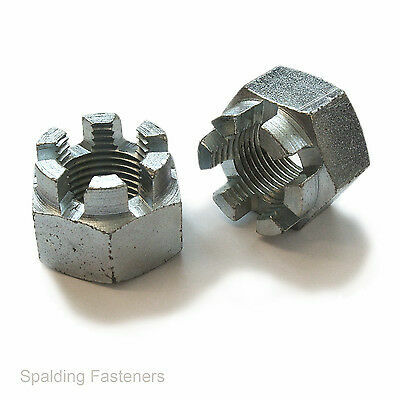 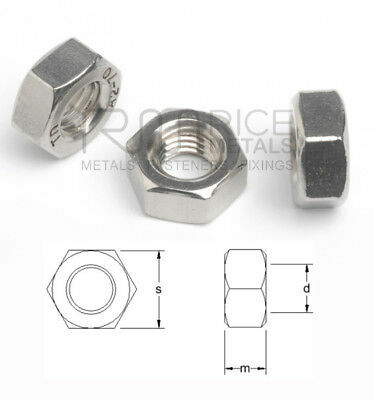 M8 SLOTTED ( CASTLE ) NUTS, BRIGHT ZINC PLATED, X 40 No. 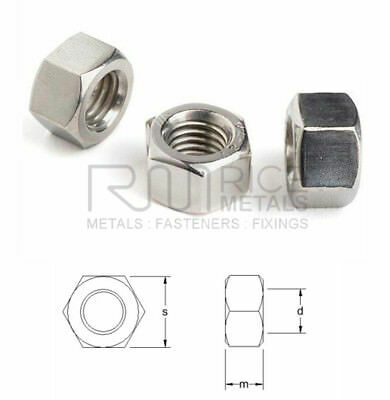 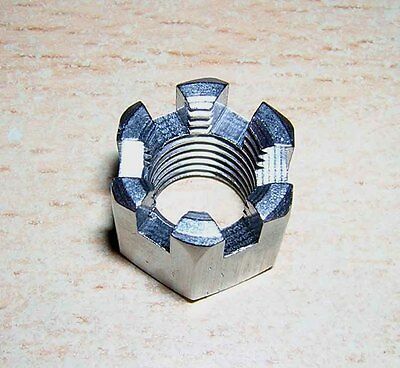 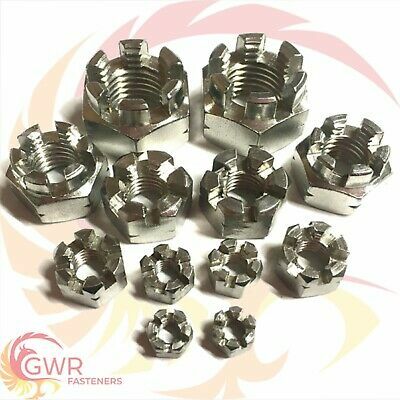 BSF Zinc Plated And Self Colour Hexagon Castle Wall / Slotted Nuts 1/4 to 7/8"
UNF Zinc & Self Colour Steel Hexagon Castle Wall / Slotted Nuts - 3/8 to 3/4"
BSW Castle Nuts 1/4, 5/16, 7/8, 1.1/2"